1) What is the science behind Mantra chanting? On one level, one can see that mantric chanting, as observed years ago by Dr. Herbert Benson, helps induce the “relaxation” response, causing reduction of heart beat, brain waves and respiration. On another level, as Dr. David Shananoff-Khalsa believes, mantric recitation enables the tongue to stimulate the acupuncture meridians inside the mouth (particularly on the roof), thus enhancing help. Dr. Ranjie Singe found that the chanting of specific mantras caused the release of the hormone melatonin and is investigating the importance of this in the healing process. He has found that there are many benefits including shrinkage of tumors and enhanced sleep because of this. He writes about this in his book POWERFUL SELF HEALING TECHNIQUES. Some believe that the recitation of sacred mantras actually causes the physical and etheric bodies to change their vibrational frequency level—becoming more attuned if you like, with divine energy. Thus, when one chants a mantra for an extended period of time, to invoke, for example some deity, the higher energies of that deity will encode itself upon the chanter. This is one purpose for much mantric chanting—to become one and unite with the energy of the deity that one is chanting for. If the person has some sickness or imbalance, this imbalance can frequently be released by having the energy of the deity encode itself upon the person. This actually comes from the concept of vibrational (as opposed to allopathic) medicine, which is the basis of many healing modality, including homeopathy and acupuncture—that all the universe including our bodies, is simply made of vibration—a concept, incidentally, that the new Superstring theory of physics supports. Everything is in a state of vibration and when we are in a natural, resonant vibration, we are in a state of health. But if some part of the body begins to vibrate at a counter frequency, the energy becomes stuck and disease sets in. Therefore, by mantric chanting, one can cause stuck energy to become released, and we can return to our natural state of resonance, effecting a cure. I have, incidentally, observed this phenomenon many times during workshops. We will be reciting a mantra to invoke a specific entity—perhaps Tara, Tibetan Goddess of Compassion for example, in order to better embody the energy of compassion. However, during and after the process, I’ve seen people with chronic health problems emerge from the chanting quite healthy. It’s amazing. There are of course, actual healing mantras as well as specific mantras to balance and align the chakras. The Bija Mantras are an example of this. We work with these in workshop and healings will also occur due to the balancing and alignment of the chakras. Chakras are the energetic wheels of light that transduce subtle energy into the body. They come from the Hindu tradition, but as my book HEALING SOUNDS notes, they are found in almost all of the esoteric traditions on the planet. Psychic and mystics from all different spiritual paths can sense—see, feel or hear these energy centers. We may not yet have scientific equipment that can adequately detect the chakras, but that doesn’t mean they don’t exist. And incidentally, the equipment to measure chakras is actually being perfected, so it is just a matter of time before the scientific and medical communities will acknowledge the chakras, as they are beginning to acknowledge acupuncture meridians. There are 7 main chakras. For over 20 years, I have studied the use of sound to effect the chakras. It’s quite powerful—mantras are particularly effective at creating this of the chakras. Thus, one can use Bija mantric chanting as a preventative tool, or to help assist an imbalance. 2) Can you tell us anything about the history and origin of chanting and trace it to the present stage-what is the level of awareness of chanting & sound healing in present day & age? This is an excellent question, but one which truly requires a book length answer to cover all the aspects inherent in this question. I will do my best to attempt to a short reply. Simply put, I will tell you that there is virtually no tradition, no culture, which does not include chanting of some sort as a spiritual and health practice. The recitation of prayers is found worldwide and has been with us since the dawn of humankind. In the Hindu, Buddhist, Christian, Islamic and Hebrew traditions, you have some sort of chanting of prayer or recitation of a Divine name. Whether it’s a shamanic or pagan tradition, you will have some aspect of chanting that could be considered mantric chanting in their rituals and prayers. Sometimes these chants are used to invoke Divine entities. Other times they’re used for healing or to ask for some benevolent process like bringing rain. With regard to present day and age, we are seeing more interest, awareness and use of chanting for health and wellness. Some of it is based upon the realization by 2lst century people that there actually is something more than pure “superstition” going on during chanting—that there are actual physiological changes occurring. Our nervous system, for example, is being affected by our own self created sounds. And through this many extraordinary shifts and changes in the body and mind can happen. Also, many people realize that using chanting creates a means of directly assessing higher states of consciousness. The ability of sound to create altered consciousness is extremely powerful and important to people who are looking for more meaning out of their lives. 3) Can the power of sound alter cellular structure and molecular structure- the DNA encoding etc? Any documented proof? Any recent scientific research on the above? There is no question that sound can alter molecular structure. In the 1960’s, a medical doctor named Hans Jenny conducted experiments that showed that sound was able to actually create form in various substances such as plastics, plastes, liquids and water. He would place these substances—powders, etc. on a steel plate and then using a crystal oscillator, vibrate these plates with sound. The various substances took on the most organic looking shapes—they look like microscopic organisms or underwater life. Quite astounding. He called this work Cymatics. Masuru Emoto of Japan demonstrated that water molecules are actually affected by sound and our intention. Intention, incidentally, is our thoughts, our feelings—it is the energy behind the sounds that we create. I’ll talk about this later. Emoto found that clean water looked like a snowflake—very geometric. Polluted water looks like mud. Emoto has photographs of polluted water, which at first look like mud. After a priest has chanted over this water, it is photographed again. This time, the water looks like a snowflake—the sound and intentionality has restored it to its natural pristine harmonious shape. The work of Fabian Maman, a French acupuncturist and sound healer has taken Kirlian photographs of hemoglobin blood cells that were exposed to different sounds. In particular, he took photographs of blood cells exposed to an ascending chromatic scale—C, C#, D, etc created on a xylophone. Each note effected the cell differently, creating a different shape and different Kirlian color. This demonstrates clearly that cellular structure and energy is effected by sound. These are just a few demonstrable examples. I have a new video called “HEALING SOUNDS” and many of these slides are found on it, as well as most of the material and information I’ll be talk about in this interview. And once again, my website, healingsounds.com also has much material. There’s also an excellent bibliography of books and articles on the subject of sound as a healing and transformative modality. 4) While chanting, what is the role of intention on the human body? ( I did see the effect of intention in the works of Japanese researcher Mr. Masaru Emoto on affect the molecular structure of water, but we would like to know the know the effect on human body? Many years ago, I was collecting information and writing a book on the effects of sound to healing. In particular, I focused upon the use of sound to affect the chakras, though of course, I also looked at the use of sound to affect different organs, as well as different conditions. What I found was that there were different schools of sound healing, based upon different teachers and different traditions. These different schools might use the same mantra to resonate different chakras—with great success. Or they might use different mantras to resonate the same chakra. Om, for example, could resonate the heart chakra, or it could resonate the throat chakra, or the third eye or crown or whatever. It depended upon the path and the teacher. I remember sitting at my desk being quite confused. How could this all work? I distinctly heard a voice saying “It is not only the sound that creates the effect of the sound, but also the intention of the person making the sound.” Suddenly, everything made sense and was clear. I understood. Yes, the intention—the energy behind the sound was an equal part of the effect of the sound. This energy of intent was carried upon the sound wave and was actually was equally responsible for the effect of the sound. It was a major “aha” moment, and I immediately wrote down the formula “Frequency + Intent = Healing”. For many people, this has been a sort of unified theory of sound healing because it is able to bring together the differences in many different schools and many different beliefs. I also created the formula, “Vocalization + Visualization = Manifestation”, which is very similar and is particularly relevant with regard to chanting and mantras. This means that visualization of the chanter that is coupled with or mantra the sound being chanted creates the effect. If you are for example, chanting for a specific deity, it helps to be able to visualize that deity in order the invoke and embody the effect. Actually, some people are not great a visualizing, so if they can simply “feel” the energy of the chant, it works just as well. If you have trouble visualizing Tara, but you can feel the energy of compassion while you are chanting the Tara mantra, it will really help and assist the manifestation of compassion. The same thing is true when you are making sounds to resonate the chakras. It’s good to be able to direct your attention and intention when you are attempting to resonate a particular chakra with sound. This is a major key to working with sound—to use the power of consciousness to focus our attention and intention on what the sound is doing. 5) Is mantra chanting and sound healing the next frontier in science, playing a significant role in healing, removing the need for allopathic treatment? I’d like to suggest that until we all move into another dimension of consciounsness where thoughts instantly create reality, there will always be some need for allopathic treatment. And coming from a family of allopathic physicians, I really want to honor allopathic medicine. I think that we should perceive of all vibrational medical treatments, whether it’s sound or whatever, as being complimentary with allopathic medicine. I think this is really important because then the different modalities can work together, as opposed to being adversarial—an “us and them” mentality. Rather than “alternative” medicine , let’s use the word “complimentary” and resonate with each other. Cooperation, not competition—I think that’s a real key to our continuation and evolution as a species in the upcoming years. 6) How is chanting vowels beneficial for health? any recent scientific research on the same? The chanting of vowels has very similar benefits to mantric chanting. Often, I will work exclusively with using vowels as mantras. In workshops, we will use vowels in conjunction with pitch to resonate the chakras. What I like about chanting vowels is that many people still have a “thing” about mantric chanting—it’s either too weird or else, they are from a religious path that does allow them to make sounds from other paths. But nobody has problems with chanting vowels. They’re part of every language. Not too many people realize that the vowel sounds are considered sacred in many different traditions—from the Hebrew Kaballah to Tibetan Buddhism. So people can chant the vowels with no religious conflicts and still experience the benefits of chanting. With vowels in particular, you have specific harmonics that seem to effect both the physical and the etheric bodies. 7) what is special about vocal harmonics? is it related to chanting? Every sound that we make is actually a composite of sounds—a fundamental frequency and geometric multiples of that sound, called harmonics or overtones. These harmonics are whole number ratios, 1:1, 2:1, 3:2, etc. These vocal harmonics make up the “timbre” or tone color of sound and are responsible for the way our individual voices sound. They’re amazing—the geometric multiples of harmonics actually represent the waveform phenomenon of the universe—they display universal principles. Many people think they are particularly sacred and spiritual. And one can learn how to begin to isolate and enhance specific harmonics in the voice for this purpose. My book HEALING SOUNDS focuses on much of this. I’ve already mentioned Dr. Ranjie Singh’s work showing the release of melatonin with regard to certain chanting, which of course, includes harmonically related sounds. This research is extremely important and yet I believe, it is just the “tip of the iceberg”. I think we can make new neural synaptic connections in the brain with vocal harmonics. Harmonics can also improve our vocal quality, charge our brain, improve our hearing and heighten our consciousness. We can also activate the 7 chakras as well as new chakras with these sounds. Vocal harmonics are one of the major things I immediately teach in my week end Healing Sounds Seminars, and of course, during the 9 day Healing Sounds Intensive, which occurs every year in July in Colorado. People come from throughout the planet to do this training and it’s extraordinary 9 days of toning, teaching and transformation. We learn many other aspects of sound for healing and transformation besides harmonics, including major work with various mantras. But the beginning to first then and then create vocal harmonics is truly amazing. I tell people it’s as though they’ve been wearing earplugs and we’re now going to remove them so they can first hear and then create a whole new spectrum of sound. This process truly empowers people with the ability of their own self created sounds to be used for healing. We are therefore able to enhance the sense of sound—particularly, the sense of hearing. Thus the way we perceive reality is shifted. It changes people’s lives! What a blessing! I also have an instructional recording that teaches people how to resonate their chakras with the vowel sounds and how to create vocal harmonics. It’s very important. On my website, healingsounds.com are some heat thermography photographs showing me chanting overtones and projecting them into my forehead. You can see almost immediately shifts and changes in the color of the photographs, which indicate changes in the organs from the chanting. 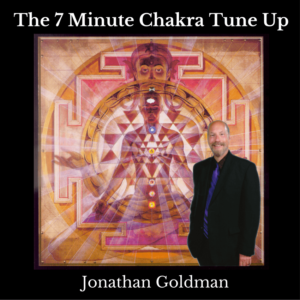 8) What’s the science behind the award winning album Chakra Chants? When was this album released? Is it therapeutic? Can you give us some testimonials for the same? Having studied the various schools of sound that effected the chakras for 20 years, I finally decided to create a recording that combined the knowledge I had. I utilized many different schools, including the Bija Mantras, the Sacred Vowel Sounds, Shabda Yoga sounds and much more to create a recording that was designed to balance and align the chakras. I used a harmonically related diatonic scale so that each chakra was assigned a particular fundamental frequency going from C, D, E, F, G, A, and B. The root chakra, for example was “C”, the 2nd chakra was “D” and so on. These are similar to the white keys on a piano—however, they are related to the whole number ratios created from musical harmonics and therefore, the frequencies are actually different from those on a piano. Some believe this adds to the power and effect of the recording. I have over 5,000 words in the liner notes of the album about the creation and use of the recording. It’s won many awards including the 1999 Visionary Awards for “Best Healing-Meditation Album” and “Album of the Year”. I have pages and pages of testimonials from people about the healing effects of it. People use it for everything, from massage and meditation to actually trying to heal specific conditions. Yet, of course, with any healing modality or situation, I think there’s a variety of components that come into play. Among these is my belief that we are all unique vibratory beings and therefore what works for one person many not work for another. This is true in all sorts of medicines, including allopathic, where you’ve got something like penicillin, which will heal probably 80 or 90% of the people, but not everyone. I say this because I think it’s unethical to present any healing modality as being “the” way—it depends upon many things including the person receiving the modality. A couple of years ago, I got an email from a well known woman writer who related to me an experience where she said that she and her husband got into their hot tub while “Chakra Chants” was playing. She took off her glasses, soaked, got out and forgot about her glasses. She told me she didn’t need glasses after that. I find this quite amusing because I have poor eyesight and wonder why this didn’t happen to me? I have no doubt that this woman’s story was true. I have no doubt about many of the seemingly miraculous stories I’ve received from people who use my different music. But I don’t believe that everyone will receive the same sort of healing. 9). What about “The Lost Chord”? This was your follow up to “Chakra Chants” How was it different? I think out of all my albums, I’m most impressed with the extraordinary and sophisticated sonics found on “The Lost Chord”. It is so advanced! As I may have told you, I like to bring down new forms on to the planet—things that have never been done before. “Chakra Chants” for example, was an experiment—to see what would happen if a number of different sound healing systems could be combined and would work effectively together. I wanted to go further with “The Lost Chord”, combining more systems. And in fact, this recording is both a journey through the chakras, and the Kaballistic Tree of Life from the Jewish Tradition. So, there are Hindu, Tibetan and Hebrew chants occurring simultaneously. It’s quite amazing. And instead of using the harmonically related diatonic scale I used on “Chakra Chants” (the “C”, “D”, “E”, “F”, “G”, “A”, “B” scale), we utilized the sacred ratios of the Fibonacci Series—the mathematical formula known as “phi” which defines the “golden mean” and the creation of the sacred spiral—for the chakras. So that the ratios are 1:1, 1:2, 2:3, 3:5, 5:8, 8:13. For the fundamental—we used a “B”, which is the keynote that many Tibetan Monks do their sacred rituals in. With this recording, there are 7,500 words in the liner notes to explain the creation and use of “The Lost Chord”. 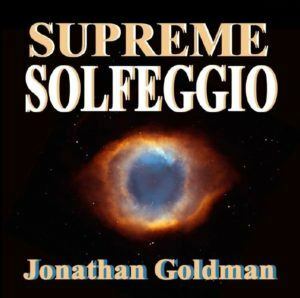 People who have achieved a certain level of spiritual awareness and activation can truly resonate with this amazing recording—I have pages of quotes from very well known teachers who “get” the recording and think it’s some of the most powerful sonic work on the planet. Some claim it’s the most potent sonic initiatory experience on the planet. It has received awards and recognition, but I think it may be a little too advanced for a lot of people. A friend of mine who owns a bookstores says he recommends it to the people who have been practicing yoga and meditation for some years. Otherwise, he usually suggests something else. Someday, I think it will be recognized as a sort of “Sgt. Peppers” of sound healing. At times there are 50 different mantric forms from different traditions in sacred ratios resonating with each other. It features chant masters from different traditions—Hindu, Tibetan and Hebrew and it really is extraordinary. We’re going to be creating a multi-media presentation at the planetarium here in Boulder using “The Lost Chord”. Combining visuals with these sounds is going to be something else. I’m very excited about this. 10) What about Om Chanting and its health benefits? Is there any research done on this? 11) The album Trance Tara encompasses Tibetan overtoning chanting. What is the connection between Tibetan overtoning chanting and healing of diseases? When was this album released? These are really two different questions, so I’ll answer them separately, although of course, they are also related. .
“Trance Tara” was released in the mid 1990’s, but interestingly enough, Etherean Music, who license it, just did a sort of re-release of the recording. This was because I facilitated a Tara Trance Dance (which I briefly mentioned at the beginning of this interview) at a major gathering called the International New Age Trade Show. We had about 500 people at this event—people who also happened for the most part, to be storeowners. And many of these people really had a transcendent experience. So, I wouldn’t be surprised if Trance Tara again began resonating in lots of different stores. Now, how I ended up doing this Tara Trance dance is also interesting. Tara, as you may know, is the Goddess of Compassion and Protection. And since the initial recording of “Trance Tara”, I have done these Trance Dances, where I teach a room full of people the mantra for Tara, and then we sing it all together. Soon, with the help of a few drummers, the room is full of dancing and chanting people. Usually, at the end of this experience—and it can go on for anywhere from a half hour to an hour or more—we sit in silence, projecting energies of healing throughout the planet. For many people it’s the first time they’ve ever been engaged in the repetitive chanting of a mantra and it’s particularly powerful when you add intention to the actual mantra. At this International New Age Trade Show, I was given the opportunity to perform. But instead of actually performing, I thought, “How about if the audience and I co-create a Tara Trance Dance experience?” Rather than people getting entertained by me, I’m really into empowering people with their own ability to use sound to co-create a powerful spiritual experience. As I said, I’ve done this particular activity of the Tara Trance Dance many times before. I remember when I did it at the Findhorn Community in Scotland, their director said to me: “I’ve never seen so many people have such a good time for so long”. It’s always a great experience and one that I believe works for both personal and planetary healing. With regard to the Tibetan “Deep Voice” Chanting, that is me doing the very low, almost growl like tone on “Trance Tara”. I write fairly extensively on this in the chapter “Tantric Harmonics of HEALING SOUNDS. The Tibetan “Deep Voice” which is a form of overtone chanting, is quite exquisite and difficult to duplicate. In 1986, monks of the Gyume Tibetan Tantric University began to tour the United States for the first time. As you may know, Tibet was initially invaded by the Chinese the 1950’s and ultimately most of the Tibetan Buddhists monks who survived, including H.H., the Dalai Lama, had to flee the country and take up residence in India. The Gyume Monks were from the oldest monastery, where the Tibetan Deep Voice is said to originate. Here is just a quick quote from the first paragraph of the “Tantric Harmonics” chapter of HEALING SOUNDS for your readers. You can understand that it’s a very special voice—for many people who hear it, it’s very purifying and quite healing. There’s this incredible amount of light and energy that is transmitted during the voice. I’ve been told this by people who have heard the “Deep Voice”—either on many of my recordings or when I do interviews on the telephone, etc. I am actually one of the few Westerners who has the Deep Voice, although the number is increasing quite rapidly. After I recorded the Gyume Monks, I took a cassette of the recording home and listened to it in my meditation room. The next morning when I woke up, this incredibly low, growl tone came from my voice. It was extraordinary. It’s said to take the Monks years to learn this, yet, I was spiritually gifted with it overnight. It’s an amazing example of what my friend Don Campbell called “Harmonic Transmission”. What’s most interesting is that while I do not actually teach this voice in most of my workshops, people now somehow receive the voice by being in my presence. And this can included both male and female workshop participants. Rather amazing. Of course, on some of my recordings such as “The Lost Chord” or “Medicine Buddha”, I utilize the gifted chanting of Lama Tashi, who happens to be the Chant Master of the Drepung Loseling Monastery, as well as a dear friend whom I sponsor. When I first met him in the early 1990’s, he was touring with the Drepung Loseling Monastery—not yet 20 years old. But we had this wonderful and deep connection. Now he’s the Principal Chant Master of the whole Monastery of 4,000 monks—he’s just an extraordinary being, full of compassion and love. He usually comes over to visit us here in Colorado and assist with the Healing Sounds Intensive during the summer. During that time, he also helps find sponsors for many monks, nuns and children. If possible, I take this time to record him and use his voice whenever possible to be able to help spread the Tibetan Buddhist energy—the dharma—the teachings. We’ve also made a recording called “Chant Masters” of us chanting together. For those interested in Lama Tashi’s work, we’re creating a website: chantmaster.org in which information about him and the Siddhartha Foundation is featured. 12) The album Sacred Gateways combines chants from six different traditions. How does the combination of these chants impact healing? When was this album released? “Sacred Gateways” was also released in the early 1990’s. It was originally subtitled “Men’s Drumming and Chanting”, since it features a large group of men doing chants from the Native American, Hindu, Tibetan, Mayan, and Hebrew/Islamic Traditions. We changed the title because so many woman and children really liked the recording and we wanted to make sure the title didn’t discourage their listening to it. While I know of stories of people using this recording for healing, it is most frequently used as an initiatory experience—with people playing certain chants during a particular initiation such as a Coming of Age or something like that. Shortly after “Sacred Gateways” I created the “Song of Saraswati”, which is now available on the CD “The Angel and the Goddess”. This is a chant to Saraswati, the Goddess of Music and Medicine—Science and Sound—from the Hindu and Tibetan Traditions. I wanted to balance the energies of the masculine oriented “Sacred Gateways” with the feminine by invoking and honoring Saraswati. It’s really quite beautiful. And of course with this recording, men seem to love it as much as women. What a blessing. 13) The album Dolphin Dreams is supposed to affect heart beat, respiration and brain waves. When was this album released? “Dolphin Dreams” may my favorite recordings because it was created for the birth of my son Joshua, who incidentally just celebrated his 14th birthday. The album was initially released in the late 1980’s as a recording to assist the birthing process. Of course, like anything else I create, it was an experiment. I wanted to create a sonic environment that would simulate an underwater birthing experience, complete with dolphins surrounding the birthing mother and baby. As you can gather, I guess I was successful, because here it is many many years later, and the recording is still being successfully used. In addition, I’ll tell you that I also created it for regular adults as well. You don’t need to be pregnant or birthing in order to appreciate it. I frequently use it when I need to relax—particularly during work. I’ll have it playing in the background and it’s great for reducing stress. In fact, when it was first reviewed by “Vogue” magazine, the critic said: “Reduce stress without valium!” Not a bad quote. The psycho-acoustic effects on “Dolphin Dreams” do indeed reduce heart beat, stress and brain wave activity, helping induce relaxation. Some people find it useful to help them sleep. We’ve got reports from nurse in neo-natal units of hospitals who use it to assist colicky babies. What a blessing. “Dolphin Dreams” incidentally, was the first commercial recording to feature the sounds of dolphins. 14) Any new projects in the future specifically related to chanting? I’ve just released a recording called “Holy Harmony”. This is composed of two very different sounds. One sound is tuning forks cut to specific frequencies that these doctors, Joseph Puleo and Leonard Horowitz decoded from the King James version of the New Testament. The story of this is available in a book called HEALING CODES. The other sound on “Holy Harmony” is a sacred mantric chant that I received in dreamtime that is an ancient name of Jesus—it’s the Hebrew letters Yod, Hey, Shin, Vav and Hey. After my dream, I found out that indeed this mantra was extremely useful for purification and healing. I later found it verified in a number of different books—I always like physical verification and validation when I receive something in dreamtime or meditation. The same type of verification occurred when I received information about Shamael, Angel of Sacred Sound. After a meditation informing me of the presence of Shamael, whom I had never heard of, I received a book called A DICTIONARY OF ANGELS which featured information about Shamael, the Angel of Sound. A more complete version of this rather interesting story is found in the liner notes to “The Angel and The Goddess” as well as in my book SHIFTING FREQUENCIES. After I received validation about Shamael, I created a recording that would invoke and honor that energy, called “Angel of Sound” and now available on the CD, “The Angel and The Goddess”. It combines Hebrew, Tibetan and Hindu mantras. This combination of mantras from different traditions is something I really feel drawn to do. From my perspective, the sacred sounds from different spiritual paths really are aspects of the One, and therefore, they can all resonate with each other. This really feels to be true. Getting back to “Holy Harmony”, I was initially guided to create this recording on Christmas Eve. I did so, and like so many of my other recordings, it was just an experiment to see what it would sound like. As I said, I like to bring down new forms—particularly sound forms. And this was certainly one. Well, the combination of the ancient chant with these newly decoded frequencies was just extraordinary. I found it so relaxing and calming. So did other people who listened to it. I continued to work and refine it and now it’s been released. The response from people has been extraordinary—it seems to really help bring down and encode the Christ energy. Also, I had a very deep meditation recently, where I saw that the Healing Code frequencies with the YHSVH chant created a spiral of sound, that was able to encode and activate the Christ Light in the DNA. It was quite an extraordinary vision and one I believe may be correct. There’s something very important about this particular recording. We probably won’t be able to prove anything about this DNA activation—at least until the equipment is scientifically invented, but usually when I receive something this strong in meditation, it turns out to be true. Just like melatonin being released during mantric chanting, which I mentioned in the beginning of this interview. 15) There seem to be many different school of thoughts on chanting? Which is the most effective for health and healing? I believe that whichever system or school of chanting works for you is the best. . Remember, “Frequency plus Intent equals Healing”, so if something resonates strongly with you, it probably will be most effective for you. If it doesn’t feel good or proper for you, it probably won’t be that effective. Some people can work with a mantra containing hundred syllable —others can work only with a mantra with one or two syllables. Perhaps they simply can’t remember more syllables. Whatever—yet, more is not necessarily better. And less is not necessarily better. It depends upon the person. And the time and place and need of the individual. And also remember that we are all unique vibratory beings, so that what works for one person may not work for another person. And we are all in a constant state of frequency shifting, so that something that may not work one day (or week, month or year), may suddenly resonate very differently with you at another time. Trust your inner wisdom and guidance. And believe and understand that sound has the ability to create profound and wonderful changes. I’m going to leave you with a story that I first heard from Dr. Randall McClellan, author of HEALING FORCES OF MUSIC. I believe it’s very old, but I like to credit Dr. McClellan, who was a great influence on me many years ago. I think this story illustrates something important about sound, and particularly about mantras. May we all find our own sound. And may we use this sound to assist personal and planetary healing. I send Blessings of Light & Love through Sound to all!